Superstition is a hell of a thing, especially when it comes to gambling for real money. No matter how many times we’re assured that the outcome of luck based games like the lottery rely entirely on random selection, we convince ourselves that we can alter the results of online lotto by meticulously choosing numbers that mean something to us. While there’s nothing punters can do to determine the outcome of a lottery draw, it all comes down to whether or not you’ve chosen the right numbers, so making your pick can feel like a big responsibility. 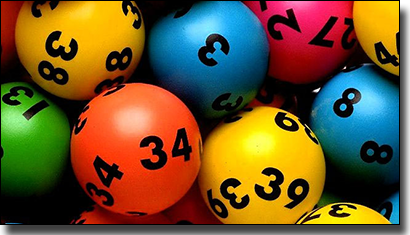 From poignant dates to Chinese numerology, we take a look at some of the common methods Aussies use when picking their lotto numbers before placing a bet online. 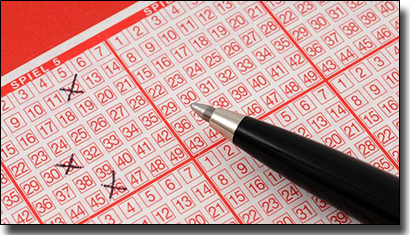 This is probably the most common choice and many Australian lottery players determine their lotto numbers based on dates of significance. It may be your own birthday, the birthday of your children, or the date of an important anniversary and while these numbers mean nothing to the lottery gods, it’s always nice to choose numbers that mean something to you. One of the benefits of picking significant dates for your lotto numbers is that you’ll never forget what they are, so even if you don’t have your ticket in front of you when results are announced you’ll know straight away whether you’re a winner or not. Plus, if you are lucky enough to score a win, nothing feels nicer than knowing what was already considered a lucky date to you is also responsible for your new cash boost. Aussies are funny creatures, if you ask one of us what our lucky number is we’ll often have a distinctive answer with no definitive reason or proof of it ever bringing any luck, something along the lines of, “24, I just like the way it feels” or “Eight because it was the address of the house I grew up in.” You probably have a lucky number just like this, one you’ve always been drawn to for no reason, or because you prefer even or odd numbers, or low numbers to high digits. Whatever the reasoning behind it, many of us make our online lotto picks based on unfounded personal beliefs constituting lucky numbers. However ridiculous or non-existent your reason is for claiming a number to be lucky, the chance of it appearing in a lottery draw are the same as any other, so it’s always nice to go with your gut. Thanks to the ancient art of numerology, certain numbers are deemed lucky or unlucky across the board, for reasons that are sometimes valid and others that are just completely whacky. For example, in Chinese numerology the number eight is considered to be particularly auspicious because the pronunciation of the word sounds similar to the pronunciation of the Chinese word for prosperity/wealth. In direct contrast, the number four is regarded as very bad luck due to its similar pronunciation with the Chinese word for death. People will often base their lotto picks on the numerological beliefs behind certain numbers. Keep in mind that numbers that are universally considered lucky, like seven or 11, are extremely common picks in Australian lottery. Choosing these revered numbers means that if they’re drawn, you’ll be splitting your jackpot with a lot of other people. There are also all kinds of numerological systems for generating your own personal lucky number, which are usually based on calculations made up from your birth date, the sum of your first name numbers and the date of the lottery draw. You can actually pay an experienced numerologist to suss this lucky number for you, or there’s a bunch of numerology websites you can use to generate your personal lucky lotto number. Most Australian lotteries offer charts detailing previous lotto results which you can check to see if any numbers appeared more frequently than others. This is a strategy commonly employed by hopeful lottery players with the belief that if a number has been picked multiple times before, it comes with higher chances of being picked again. Mathematically there is no evidence that suggests this lotto strategy works, but many players stick by it religiously. An alternative approach is to search the lottery charts for frequently appearing numbers, and then avoid these numbers for ones that appear less frequently. This strategy may seem counterintuitive, but if so many people are picking frequently drawn numbers and they do happen to be drawn, you’d have to split your winnings with a much bigger group of people, ultimately earning you less money. If the less frequently picked numbers are drawn, chances are you’ll have a much bigger prize pool for yourself. Was 21 the peak of your life? Did you enjoy your thirtieth birthday more than any other? Was being six years old the ultimate of ultimates? Lots of people have a certain age that stands out to them as their favourite, perhaps it was a year where a bunch of lucky events occurred, or maybe you were coincidentally at your happiest during that time, or perhaps a significant event like your wedding took place. Whatever the reason, it’s common for punters to pick their lotto numbers based on ages that they deem as lucky or happy times.